Cycling studies is a rapidly growing area of investigation across the social sciences, reflecting and engaged with rapid transformations of urban mobility and concerns for sustainability. This volume brings together a range of studies of cycling and cyclists, examining some of the diversity of practices and their representation. Its international contributors focus on cases studies in the UK and the Netherlands, and on cycling subcultures that cross national boundaries. By considering cycling through the lens of culture it addresses issues of diversity and complexity, both past and present. The authors cross the boundaries of academia and professional engagement, linking theory and practice, to shed light on the very real processes of change that are reshaping our mobility. Cycling Cultures (edited by Peter Cox), by Katrine Hartmann-Petersen, Applied Mobilities, 1(1), 129-133, 2016. It presents what the contributors characterize as a kaleidoscopic view of cycling conversations across national settings and experiences. Cox et al. provide new insights into the understanding of the priorities, perceptions of freedom and interdependences of cycling in everyday life. This book adds to the growing field of cycling literature (i.e. Aldred 2013; Freudendal-Pedersen 2015a; Larsen 2015; Rosen, Cox, and Horton 2007; Spinney 2010) and verifies cycling as an inspiring research field within social sciences. The key message of book is that cultures of cycling need to be a further object of scientific investigation, because understanding the diversities of cycling makes a better starting point for a region, a city or a nation’s mobility policies. But the book also presents a series of conversations across social and political contexts that bridge between perspectives from academia, activism and public policy (Cox 2015, 2) … Cycling Cultures shows how a cultural understanding of mobilities is crucial in order to discover interdependencies within urban mobilities in general (Cox 2015, 213). Academic editions are often as exciting as watching paint dry. They come with mountains of references to obscure previous research conducted decades ago, and grip on present-day reality akin to that of Donald Trump’s election manifesto. 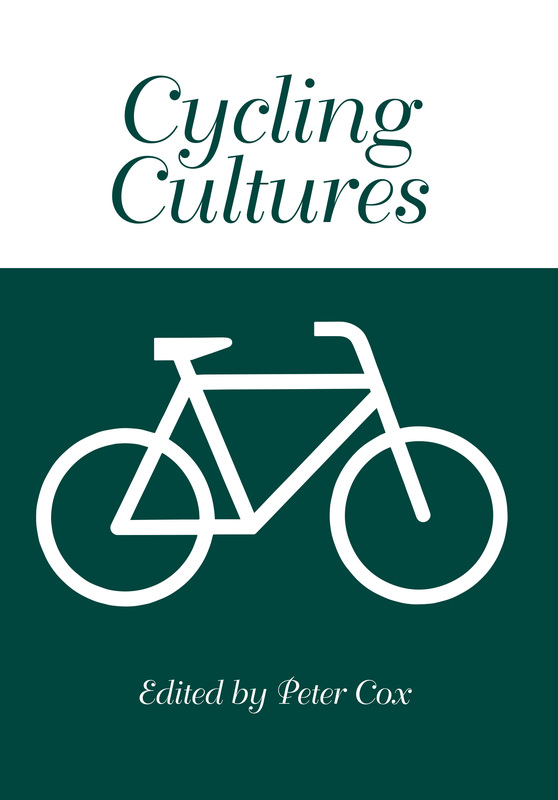 But the Cycling Cultures edited collection is a refreshing surprise. It gives insights that surprise, intrigue and inform. … Cycling Cultures offers an in depth look at how, and potentially why, cyclists are so keen to tell everybody that cycling is A Good Thing. But they cast a broad net. Cycling Cultures edited by Peter Cox is a must read for sociologists, city planners and transportation executives. Across eight learned dispositions on the state of cycling as it relates to modern culture, the book investigates such forgotten corners as the role of the Cargo Bicycle, how Immigrant Women Cyclists learn to ride in Holland, and why some cyclists think it sensible to ride 1600km non-stop in 90 hours in a Randonee. … If the examples cited of female emancipation and cultural blending through the use of bicycles are anything to go by, the humble bicycle can still bring plenty of new culture to our increasingly crowded yet environmentally aware societies. Peter Cox (Editor), Cycling Cultures, 2017, ISBN 978-1-908258-11-3, £13.99.